In a short time here in Australia, I have become fond of footy, State of Origin in particular, coffee shops, politics and an endless amount of generosity and conversation from so many good-natured Australians. I am often asked about the National Football League which seems to be popular here among some. And in American football, whether you like them or not, you have to admit that the New England Patriots are the most successful team of the past ten years. This is not by chance or by luck. They prepare, work hard, practice, plan and execute every single week. Just like the Patriots, many successful dealerships in the U.S. are using the same discipline and strategies to generate more eyeballs, more leads and capture customers online and drive them into their stores. We have evolved into a search based, now culture where information and speed are capturing people’s attention on mobile devices. Add to this, that consumers are only visiting 1.4 dealerships per vehicle purchase, dealerships must have a digital plan, practice and execute like the New England Patriots to be successful. A good example this is Volvo of Lisle, outside of Chicago, IL. Their strategy around websites and advertising is well planned and executed each month. This dealership exemplifies winning digital strategy by using fundamental paid search, coordinated model creative campaigns and well-designed vehicle detail landing pages to drive leads and sales every month. 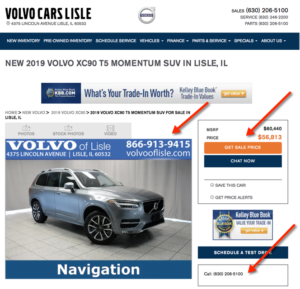 Lisle Volvo doesn’t chase after shiny keys or the latest marketing fad, they stick to the basics of blocking and tackling, and they go on the offensive when it comes to marketing. The importance of having strong Vehicle Detail Pages on your dealership website. Another fundamentally sound player with a winning strategy in the U.S., is Lithia Motors and their Honda dealership in Los Angeles. DCH Honda Gardena is a good example of sticking to a winning strategy each month and the results are clear. They use aggressive paid search, display, and facebook each month to market the coordinated campaigns around their high-volume Civic model. This store directs consumers to a Civic vehicle listing page or a vehicle detail page where potential buyers can call or get an “e-price” on the vehicle. 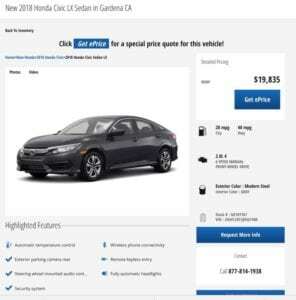 They are aggressive when it comes to their market area and they consistently build and maintain strong Honda Civic pages with compelling offers. The images and messages on their homepage, Civic specials pages, and Civic listing pages all work together to drive a consistent message around why you should come in to test drive a Civic. As you can see with these examples, winning in the NFL as in the automotive industry, is not a game of luck or chance, but requires planning, hard work, and a strategic digital strategy. 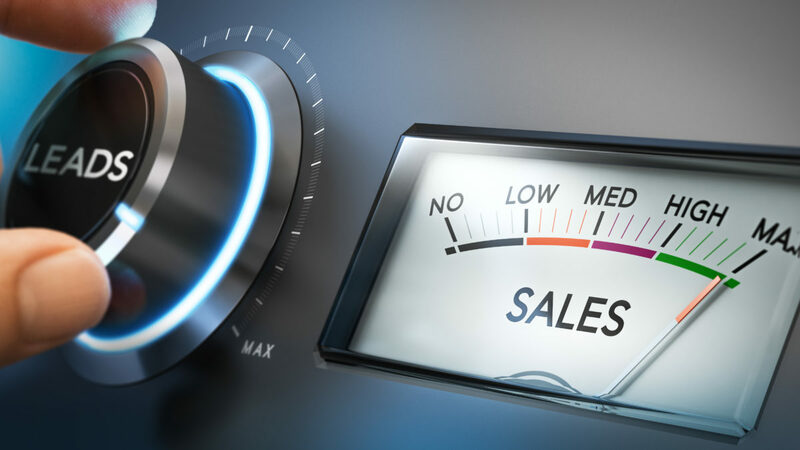 Controlling your inventory, marketing directly to consumers who are searching for it and then driving them into the dealership takes work and effort, but pays off quite well for many leaders in our space. Come to talk us at the Cox Automotive stand during AADA next week. I’ll be with the Dealer Solutions’ team where I’ll be more than happy to have a chat with you and share a tip or two that can help you become a winning dealership in your market today! If you can’t make to AADA, drop us a line and one of our Digital Strategists will be in touch. 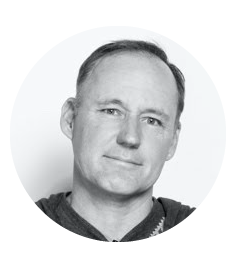 Chris Smith has built a strong track record as an entrepreneur and sales leader for leading automotive, action sports, lifestyle and music publishing companies working for NBC, CBS, Surfer Magazine, Cox Automotive and Dealer.com. In 2005, he founded Blackrock Digital, an innovative vertical ad network and sold it four years later to Intermedia Partners. Chris also funded and help build Think Realtime LLC, a programmatic real-time bidding advertising company acquired by Dealer.com and Cox Automotive in 2014. Mr. Smith started his career on Maui as a hand-held Camera operator and Producer positions for Paradise TV, a local visitor channel. Chris lives in California and Lahaina, Maui with his wife and two children Scout and Saylor.